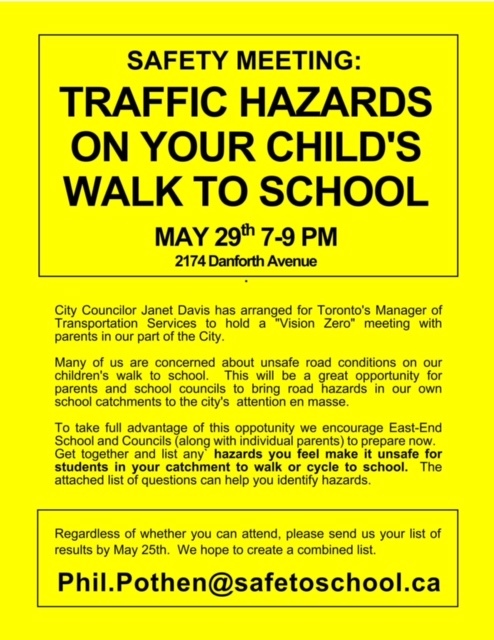 A local parent has organized the meeting outlined below to gather feedback from parents about their children’s daily walk to school and what can be done to make it safer. If you cannot attend the meeting you can email your feedback to the council at thegledhillguardian@gmail.com. The Gledhill Council will be gathering all suggestions and emailing it Phil in advance of the meeting.